Move right in. Live on multiple levels downtown. 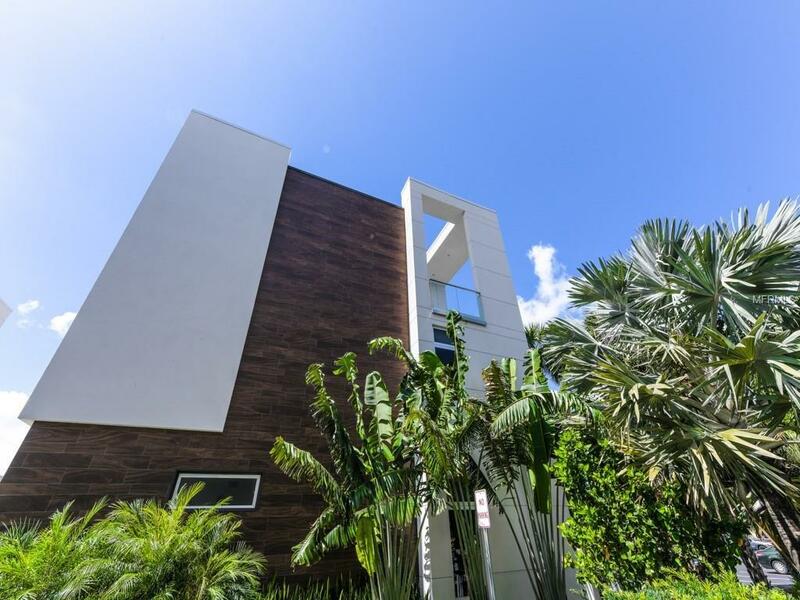 This ultra-modern three-level, end-unit townhouse with two-car garage and private elevator boasts three bedrooms, three-and-a-half baths along with 2 bonus rooms. It offers stylish urban living and upgraded features throughout. 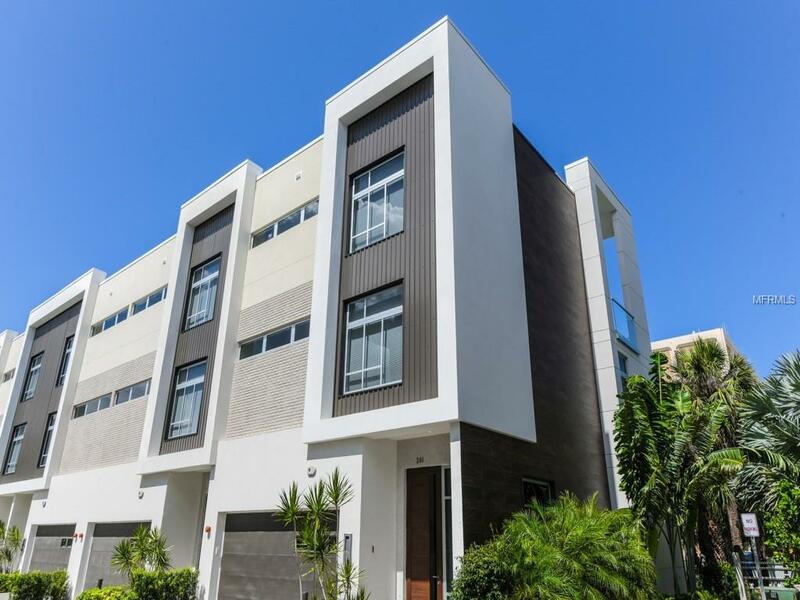 This unique residence includes Miami-Dade impact-rated windows and doors, Italian kitchen and bath cabinetry, Bosch appliances with natural gas cooktop, Caesarstone quartz countertops and German Hansgrohe faucets. You'll also discover 8-foot solid core, African Rosewood interior doors, volume ceilings, a stylish freestanding soaking tub, spacious showers and large closets. 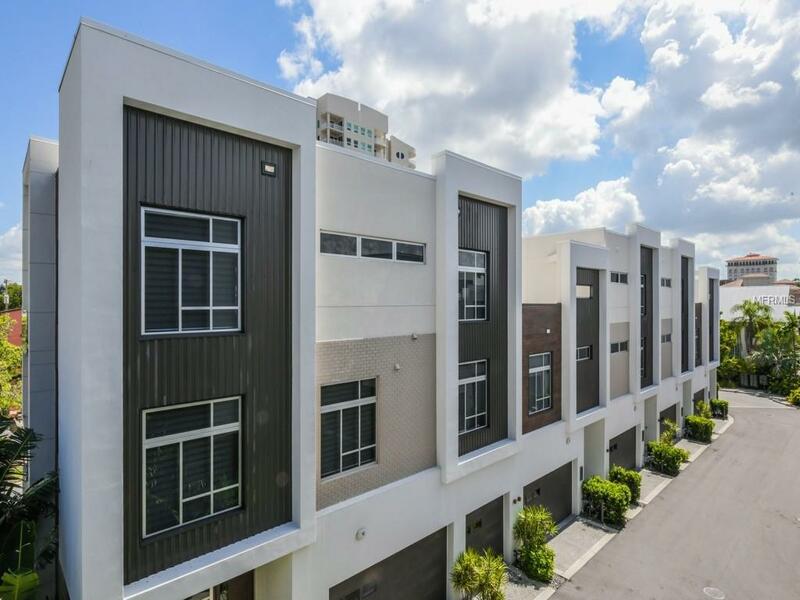 There are upgraded porcelain tile and dark hardwood flooring, multiple terraces, a tankless hot water system and plenty of natural light cascading throughout every room. 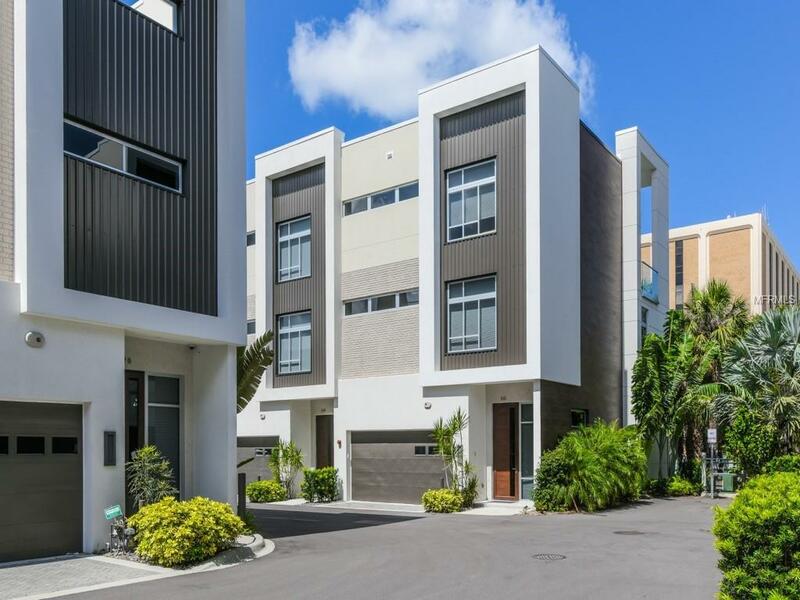 Because the townhouse is titled as fee simple ownership, you'll own the land your residence is built upon and the monthly fees are some of the lowest downtown at only $273 per month. This home is perfect for entertaining or just relaxing; whether you're a full-time or seasonal resident. No car is needed to get to fine restaurants, specialty stores, banks and movie theaters, plus you're close to Whole Foods Market, the downtown Sarasota waterfront, white sand beaches and the theatrical arts. Make an appointment to visit this artfully appointed unit. Additional Lease Restrictions Minimum Lease Period 3 Months Twice A Year. Pet Restrictions 2 Small Pets Up To 35 Lbs Each Or 1 Pet No More Than 100Lbs.